 Travel the 2,979 km between the North and South coast of Australia from Darwin to Adelaide (or vice versa) through the heart of the Red Centre. Travel in style on The Ghan visiting Alice Springs, Katherine and Coober Pedy (Ghan Expedition only). 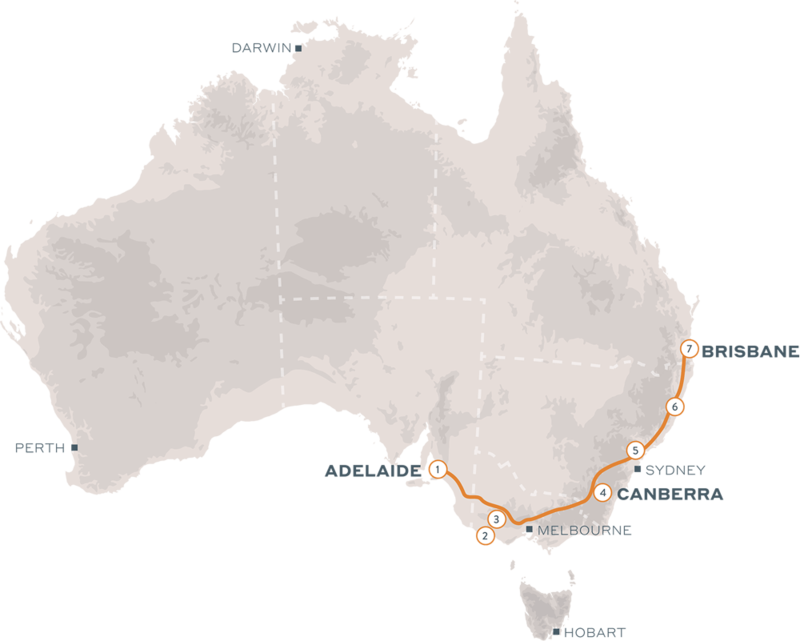 Travel the 4,352km between the East and West coast of Australia from Sydney to Perth (or vice versa). This transcontinental journey includes visits to many diverse locations. Depart Perth and visit: Kalgoorlie, Cook, Adelaide, Broken Hill and the Blue Mountains (optional).  Depart Sydney and visit: Broken Hill, Adelaide (McLarenVale or Barossa or Hahndorf) Cook and Rawlinna (Nullabor Plain). Australia's newest rail adventure. Explore the Great South of Australia. Depart Adelaide (two nights/three days) : Visit The Grampian, Canberra and enjoy a NSW North Coast Beachside experience. Depart Brisbane (three nights/four days) : Visit The Hunter Valley, Great Ocean Road and enjoy an evening NSW North Coast Beachside experience. A Gift Voucher to travel on The Ghan is the ideal Christmas or special occasion gift.